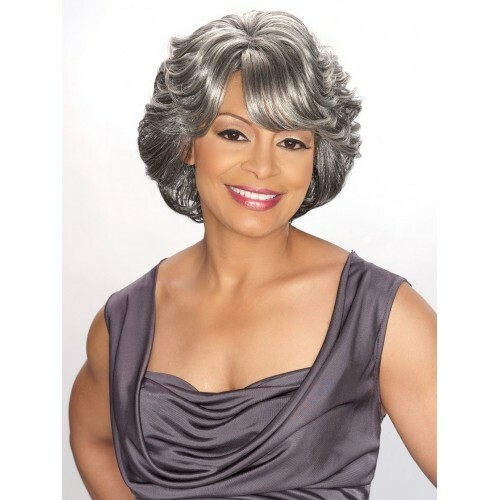 The CeCe Synthetic Wig by Alicia Beauty is a short style. This short wig is parted to the left and has wavy layering all over that slighly flip out towards the ends, that curl towards the ends. Sideswept bangs frame the face beautifully. CeCe features a machine wefted cap construction that is lightweight and comfortable.